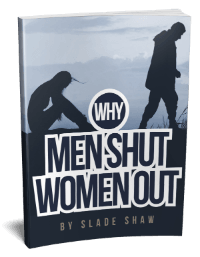 Here are two essential “power habits” that work synergistically to put you in contact with more quality men and ensure you enjoy the dating process as it unfolds. Remember his name the first time you meet him (and every time after). Use the power of networking. I’m sure you’ve heard someone say the sweetest word in the English language is your own name. When someone addresses you by first name, it causes an automatic positive feeling. It gives you the feeling that they noticed you and connected with you on a level that made your name significant to them. On the flipside, this is why you internally wince when you can’t remember someone’s name who cheerfully greets you by first name after having met you only once before. It’s even worse if this is the third time you run into them, and you still can’t remember their name! Don’t let this happen to you. It’s not the first impression you want to make. There are memory tricks (mnemonic techniques) that can cause you to remember someone’s name the first time and never forget it. Most memory tricks work by taking something abstract and turning it into something you can visualize. It’s far easier to retrieve a memory if you turn it into something you can picture in a visual way. The best memory trick for names relies on what’s called “active processing,” which means you don’t just rehearse the name by saying it three times in your mind but rather do something to associate the name with something else, preferably something visual. Let’s look at an easy example and a difficult example. A man walks up to you at a party and introduces himself as Bill. You actively process this name and realize you could visualize a duck bill in place of his nose. The image is bizarre and that actually helps you to remember it. When you get home, write his name down. Picture his face and that will trigger the visual image of the duckbill, which will remind you of his name. Write the name down when you get home while it’s fresh in your memory. Then pull out your notes the next day, picture his face and reinforce your visual memory by picturing the duck bill on his face again. Waiting until the next day to rehearse his name (and the name of anyone else you met) will help the memory to reach your long-term memory storage. If you’re really serious about this, pull out the list of names of people you met at the party on the third day and go through the same rehearsal process again. Then, when you meet one of these people on the street, they will be pleasantly surprised when you greet them by first name. Bill is an easy name to turn into a visual image. But what if his name is Greg? You simply use the power of active processing again. Greg rhymes with egg, so you picture someone walking up behind him and cracking an egg over his head while he stands facing you. You visualize the egg yolk running down over his face and dripping from the tip of his nose. The next time you see him, you will be able to recall the egg easily, which will be close enough to trigger the memory of his true name, Greg. Okay, that’s pretty easy, but what if his name is Jeffrey? There’s nothing that rhymes with Jeffrey. Fortunately, it doesn’t really need to rhyme. It just has to involve active processing and something visual to make it stick in your memory. We remember a lot more than we realize. 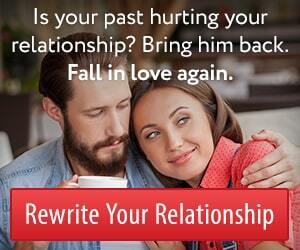 It’s the retrieval part that makes it hard to remember things. When you see someone’s face that you involved in one of your active processing visualizations, their face becomes the cue that allows you to “find “the memory. If I met Jeffrey and wanted to remember his name, I would say in my mind, “Jeffrey referee,” and imagine him throwing a penalty flag in the air before it landed on his head. Jeffrey and referee don’t exactly rhyme, but the association is close enough. Plus, my brain went through active processing to discover the association, and it gave me something I can visualize and connect to the image of his face. This memory trick seems kind of strange when you first practice it, but you will find it becomes rapid and second nature after you practice it on a few people. Learning how to turn names into mental associations with some visual aspect becomes second nature to anyone who has purposefully developed this important memory ability. I recommend you practice remembering people’s names the first time you meet them because it will also help you with networking. Whether you need a new job or boyfriend, networking is a power habit you won’t want to be without. Networking means more than asking your friends to introduce you to their other friends in hopes of meeting Mr. Right. To engage the full power of networking, make it your habit to connect other people to each other, while focusing on benefiting others through your networking efforts. When you meet Bill at the party (and remember his name) you can introduce him to your friend Nancy a few minutes later when she arrives at the party. You can tell Bill that he and Nancy have something in common, as they are both professional photographers. The introduction is truly selfless. Nonetheless, becoming a good networker has a way of coming back around and benefiting you later. The most immediate benefit is that your mindset shifts in a helpful way. When you are going out of your way to meet people, remember names, and make introductions for the sake of helping others, you will feel more bold and outgoing. It’s the same reason it’s easier to chase after a man who left his umbrella behind at the bus stop than it is to introduce yourself to that same man when you’re both sitting two feet apart on the bus. When your motivation is to connect others, you feel more bold and relaxed because you’re really not asking for anything for yourself. Chasing after a man to give him something he left behind is a selfless act. Similarly, introducing others is a selfless act. For some reason, most women feel more comfortable being bold and outgoing when their underlying motivation is to be helpful to others (instead of fishing for a man to ask her out). In the long run, people will remember you more often, talk about you more often, and go out of their way to introduce you to more people. This is a side benefit of being a good networker. The more people you get connected with, the greater the odds of bumping into a guy you really click with. 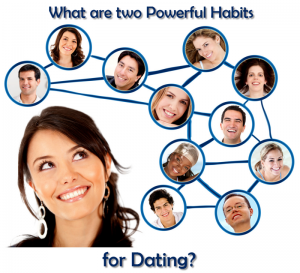 This entry was posted in Dating, Self Improvement and tagged creating good habits, dating habits by James Bauer. Bookmark the permalink. I remember all sexually exciting men I meet. I use it as an indication that there is necessary spark. If I don’t remember, why meet him again, since he can’t get me hot. So no mnemonics needed, only natural selection at work.